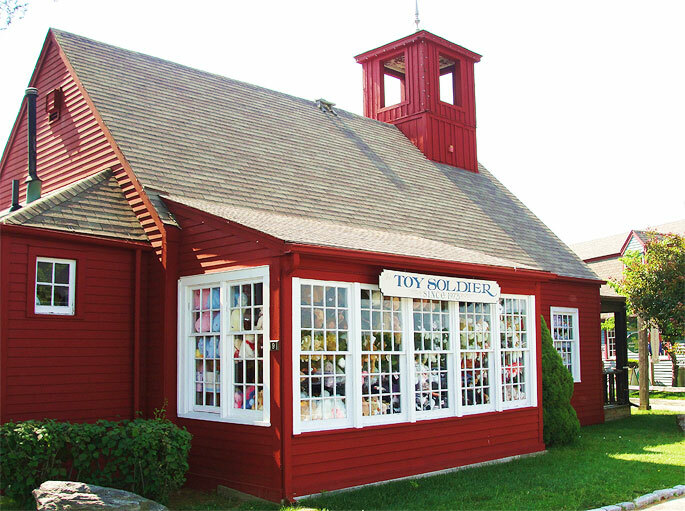 The Toy Soldier is one of the original shops of Olde Mistick Village, located in Mystic, CT. We have been in business since 1973 and are still family owned and operated. Customer service comes first and we want to help make your shopping experience stress free and one to remember. More importantly, we value the connections we’ve made with our customers over the years. Your family becomes our Toy Soldier family. Please don’t hesitate to ask questions. We’re here to help you and we take pride in knowing how to select the right gift for every individual. Themes are our specialty, whether animal or vehicle related, or anything else you have in mind. Before you step into The Toy Soldier, you are greeted by Big Bear, who loves to pose for pictures with our customers. Once inside, you will find wooden floors; toys reminiscent of your childhood; and a multiple of themed areas to explore at your leisure. As an old-fashioned (now hard to come by) toy store, we embrace quality toys and books that explore the imagination; encourage creativity and curiosity; and challenge the mind. Outdoor play, as well as family games and activities, are also top on our list. Whether you connect with us over the phone, via e-mail, or in person, we look forward to serving you, and having you join our family of friends. Can we order from you online? We love helping people in person or over the phone, so we do not have an online store. Please email or call us during business hours at 860 536-1554. We look forward to serving your needs. Do you only sell toys for kids? No. We sell collectibles for all ages, including die-cast cars and trucks, collectible toy soldiers that represent history through the ages, Steiff, Madame Alexander dolls, San Francisco Music Boxes, etc. Our jigsaw puzzle selection is the best in the area and we have puzzles for all ages, up to 5000 pieces! Explore our games and books for adults, and so much more! Yes, with the exception of being closed on Christmas and Thanksgiving, with shorter hours on Easter. We are open 7 days per week, and we have extended hours in the summer, and in the weeks leading up to Christmas. Yes. Follow us on Instagram (toy_soldier_mystic) and like us on Facebook (Toy Soldier Mystic). Thank you to all our followers! What if we need a gift for a certain age-range and don’t have a clue what to get? Ask us! We are here to help offer suggestions based on age-range. Yes. Any amount you desire. 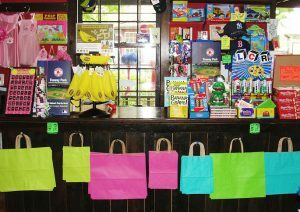 Kids love coming in with their Toy Soldier gift certificates to shop.